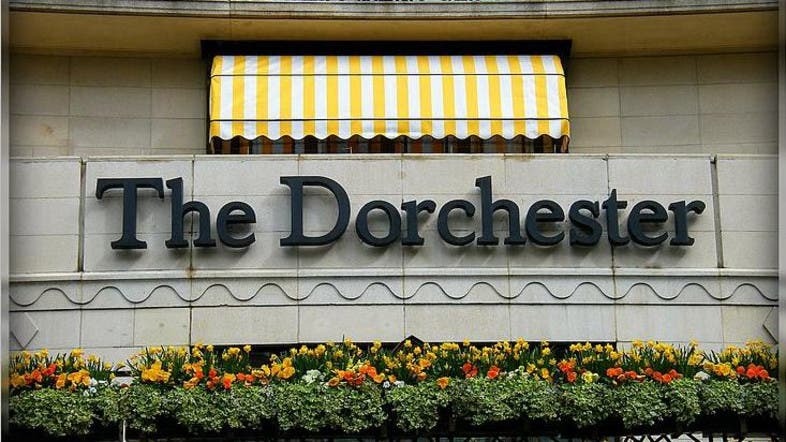 A man described as a 'wealthy Arab' has been found dead in the five-star Dorchester Hotel in London, leading to two arrests, according to media reports. The man, in his 40s, was found dead at the $3,000-a-night hotel on Friday, the Daily Mail reported. According to police, the man's death is 'unexplained' and they are not ruling out murder, the newspaper said. A post-mortem on the body is said to be scheduled for today. Two men aged 31 and 50, both from London, have been arrested and subsequently released on bail, it was reported. And official from London's police service said the next of kin are being informed. The man's name and nationality have not yet been released. The Dorchester, one of the most upmarket hotels in the UK capital, is currently up for sale for a reported $710 million.